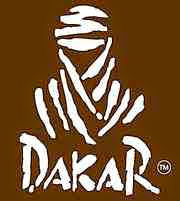 Well I have good news for our off-road lovers as Motoring Nigeria Blog will be bringing you the latest news and updates on the ongoing 2015 Dakar rally raid taking place in three South American countries namely: Argentina, Bolivia and Chile. Before we talk about the 2015 edition of the really raid, let's first understand what the Dakar rally raid is. up about eighty percent of the participants. endurance race, properly called a " rally raid"